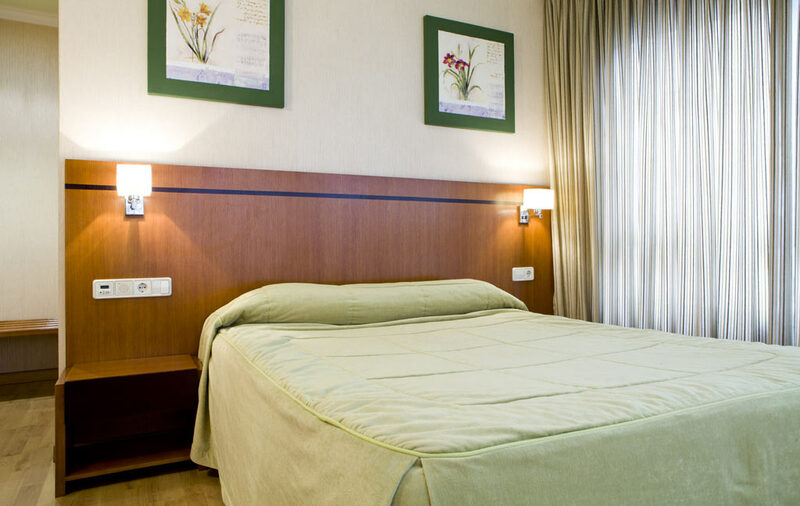 We have 25 rooms, all of which are outward-facing, functional, spacious and bright, which are distributed as follows: 5 singles, 10 twins, 5 doubles and 5 triples. We also have a room adapted for people with physical disabilities or reduced mobility (For more information on this special room you can request details at the hotel reception). We don’t attempt to break any records but we do want to make your life easier with our spectacular prices. 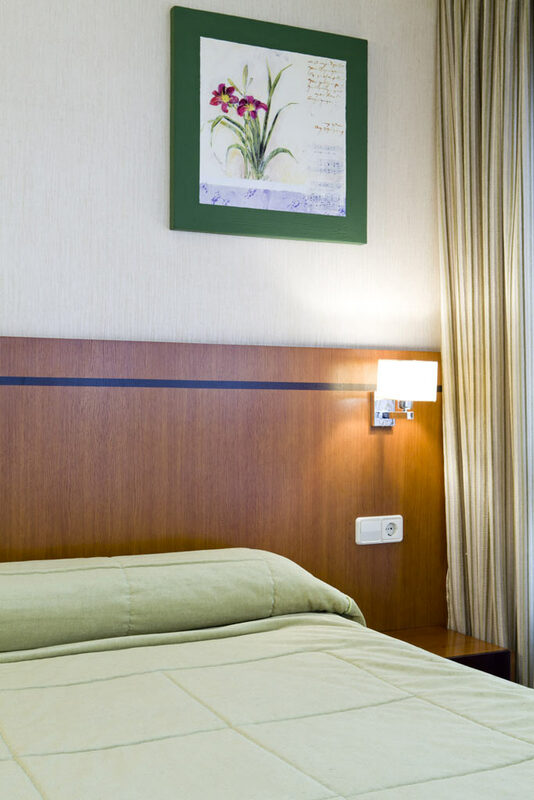 It is our company policy to ensure you feel comfortable in every sense during your stay. We have 5 rooms designed for just one guest, furnished with one 1.50 metre bed. The surface area of these single rooms is approximately 15 square metres. There are 10 twin rooms equipped with two 1.10 metre single beds. The space in this room is around 16 square metres. We have five large double rooms, all of which are furnished with one 1.35 metre bed plus one 90 cm bed. The surface area of these rooms is approximately 18 square metres. They are designed for three adults, or for two adults plus one child over 12. Our 5 triple rooms have two 1.10 metre beds plus one 90 cm bed. All the triple rooms offer approximately 17 square metres of space.